Are you suffering from back or neck aches? Perhaps the answer to your problems is a visit to a chiropractor. With the use of non-invasive and natural methods such as chiropractic adjustments, it is an excellent alternative to Western medicine. The next question is – where do I find a reputable chiropractor in Singapore? Not to worry, here are the best chiropractors you can see in Singapore! 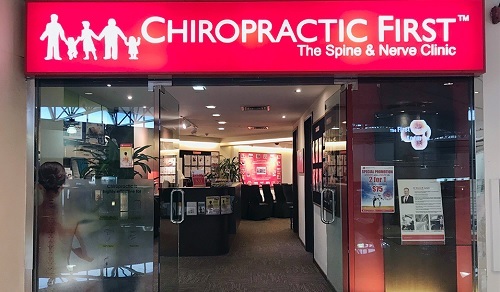 Chiropractic First is one of the largest chain of chiropractors in Singapore. They have more than 20 different clinics in Singapore, Malaysia, China and the UK. Having been established for more than 18 years, they are experienced in ensuring top-quality chiropractic care for all their patients. Their team of doctors are highly experienced and are trained in countries such as the USA, UK, Canada and Australia. Some of them have even worked with Olympic athletes! Chiropractic First offers chiropractic care, decompression therapy and also have treatments suitable for children and pregnant mothers. You can even get them to give a free health talk in your office about improving workplace health. On social media, there are hundreds of positive reviews about them. On Facebook alone, there are 160 recommendations which have rated them an average of 4.9 out of 5. You are in safe and trusted hands when you go with Chiropractic First. Opening hours: Depends on outlets, but they are closed on Sundays. Founded in 2010, Healing Hands has now grown to 4 outlets strong. They believe in helping their patients through non-invasive and safe chiropractic treatment. 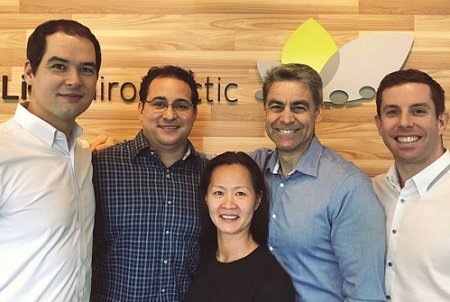 With 8 professional chiropractors in their team currently, each of them is highly-qualified with years of experience in improving their patients’ conditions. Healing Hands Chiropractic has a full range of facilities that are designed to aid their patients’ recovery. They have specialized devices such as a Posture Motion Analyst, Medical Treadmill, Recumbent Bike and 2 Stack Gym. No expense has been spared to provide the best for their clients. For your initial consultation, the price is $75 for 45mins. You will go through a spinal scan, posture analysis, consultation, physical examination and finally a report on all the results. For other diagnosis and treatments prices start at $75 to $110 for one session. 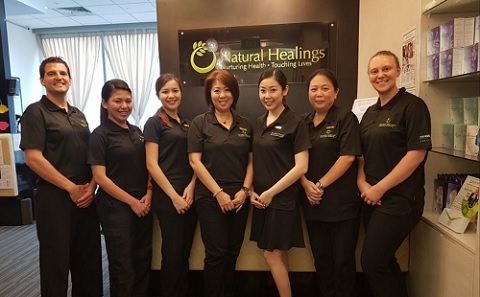 Natural Healings is a holistic healthcare provider that has both chiropractic and also Traditional Chinese Medicine services. With 8 clinics all around Singapore, you are sure to find one near your workplace or home. They are also famous for their Trigonal Health Program. It combines both internal and external healing practices for a more rounded treatment. It uses three main tenets – Chiropractic, Functional Wellness and Health Supplements. All their therapists and chiropractors are trained in this program which has an excellent success rate. Their approach is 100% natural and safe. They do not use drugs, surgical or invasive methods. Therefore, everyone and anyone can benefit from their Trigonal Health Program. For new customers, there is a trial offer at $38 for this program. If you are interested in their TCM treatments, consultations will cost between $20 to $30 while treatments range from $28 to $88. Founded in 2015, Singapore Pain Solutions may be relatively new to the market. However, they are garnered a strong following with their dedicated care for their patients. More than 120 people have left them a positive review on their Facebook page with an average rating of an incredible 4.9 out of 5. When you visit the clinic, you’ll likely be treated by either one of the two founders – Dr Jeff Ederer and Dr Jenny Li. They are very experienced chiropractors who have years of experience under their belt. Whether you are an adult, athlete or child, they have the necessary expertise to help you heal with all-natural methods. For athletes or sports enthusiasts, you may also be interested in their sport massage packages to help you recover faster. For the first-time consultation, the fee is $75. A standard chiropractic adjustment is $90 for adults and $60 for children under 12 years old. You can also buy packages for more savings; The price for 6 and 12 sessions are $450 and $720 respectively. They are also running a promotion to make chiropractic treatment more affordable for students and NSFs under the age of 24. You can get 5 sessions for just $225. Since its founding in 2010 by Dr Tim Errington, Total Health Chiropractic has grown from strength to strength. It now has a total of 5 clinics with 8 experienced doctors who have served over 6000 satisfied clients. Amazingly, in a short 9 years, they have done more than 300,000 chiropractic adjustments and made life better for thousands of Singaporeans. They invest in state of the art machines designed to help diagnose and protect the best treatments for their patients. If you have problems like shoulder pain, numbness, back problems, migraines and arthritis, give them a shot in helping you out with natural methods. For your first visit, they have a promotional offer for $99 instead of the usual price of $300. What it includes are things like a full spine check, orthopaedic and neurological tests, posture analysis, weight distribution and adjustments. Since its inception in 2010, True Chiropractic has built a strong reputation as a service provider which cares deeply for each and every patient. They have 4 main services which they offer – Chiropractic Treatment, Spinal Decompression Therapy, Osteopathy Treatment, Scoliosis Bracing System. Chiropractic services are not cheap. Thankfully, True Chiropractic Group currently has an offer for first timers for only $38. You’ll receive an in-depth consultation, a physical examination and finally a chiropractic adjustment. To get this offer, you will have to book and pay online to qualify. Your concerns, thoughts and worries are the focus of the doctors over at Family Chiropractic Clinic. They listen to you to fully understand the situations, pains and problems you have. With that understanding, they can formulate tailored plans which help you to achieve wellness faster. Here are a list of treatments available at the Family Chiropractic Clinic – Chiropractic Adjustments, Active Release Therapy, Trigger Point Therapy, SOT Blocks Therapy, Traction Therapy, Sports Injury Taping and Vibracussor Therapy. With this wide array of treated methods, get to ready to say goodbye to your aches, pains and discomfort. Led by Dr John Yi and Dr Neil Furuno, Asia One Chiropractic offers personalized chiropractic therapy for every one of their patients. Their mission is to educate, empower and encourage their clients about their knowledge of caring for their spinal health. If you live in the Central or East of Singapore, consider their clinic if you want to rid yourself of aches and pains. Well-loved by their clients, Life Chiropractic Centre has gotten a total of 61 reviews on Google with an average score of 4.95 out of 5. That’s pretty amazing and makes them one of the highest-rated chiropractors in Singapore. Led by Dr Brian Morris, he’s mostly a one-person operation. If you call in, he’ll likely be the one answer. Drop an email, and it’ll reach him directly. Sometimes, it’s a refreshing change to have a chiropractor who takes care of you every step of the way. 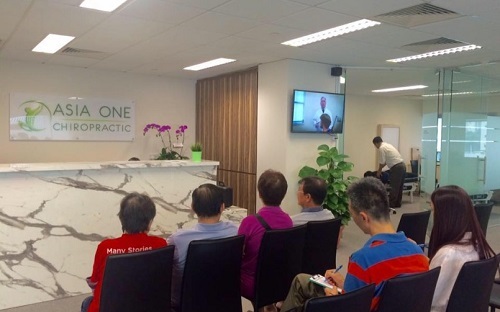 With 3 different clinics staffed by 6 doctors in the Central area of Singapore, Active Life Chiropractic is a convenient choice for those working or staying in the CBD or town area. All the doctors are highly experienced with years of experience behind them. Some of the doctors are more specialized in specific areas such as treating pregnant women or sports athletes. So regardless of your situation, you’ll be assigned a doctor that suits your needs so that you can achieve full wellness as soon as possible. Opening hours: Opened every day besides Sunday. However, office hours are different on different days. Check the website for accurate info. For close to 10 years, Dr Timothy Lim has been helping his patients regain their spinal health and wellness through chiropractic treatments. He is a certified Doctor in Chiropractic from the Sherman College in the United States. 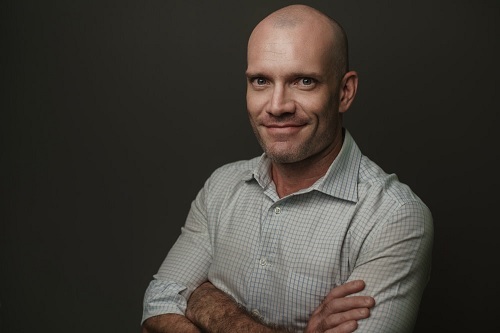 Dr Timothy is also committed to improving the chiropractic landscape in Singapore and is a member of the Chiropractic Association of Singapore. Having a local chiropractic doctor has its advantages. Dr Timothy is fluent in both English and Mandarin. If you are bringing your elderly parents, this ability to communicate in Chinese will help ease his or her fears and receive the treatments better. For the first consultation, prices start at $57. For a treatment session, it costs $65 for children and $85 for adults. There are also options for a 6 or 12 treatment plan which costs $450 and $840 – this brings down the cost per session to $75 and $70 respectively. Founded by Dr Richard Edward Kissun, Kissun Chiropractic aims to promote wellness and help their patients regain full health. Their doctors are trained in Australia and are also registered under the Australian Health Practitioner Regulation Agency (AHPRA). Regardless of your condition, they will do their utmost to help you recover in as fast a time as possible. For busy individuals, Kissun Chiropractic is a great choice because it opens every single day, even on the weekends. Chiropractic treatments are a non-invasive and non-surgical method that seeks to adjust your spine to help your body recover with the use of medicine. It is increasingly popular in Singapore as an alternative to medicine and surgery for back, neck and spine problems. A typical chiropractic treatment plan involves a first consultation where the chiropractor will analyze your problems and come up with a tailored plan for you. After that, each session will usually consist of a chiropractic adjustment of your joints. Depending on your needs, you may have to go for a total of 10 to 50 sessions. What problems can chiropractic treatments help with? Is it safe to go for a chiropractic adjustment? Yes, chiropractic adjustments are safe with a trained professional. Chiropractors in Singapore have years of training in addition to years of practical experience. Some of them have even been in the chiropractic industry for decades. They have likely treated thousands of patients and have good track records. So yes, you should feel safe when you go for a chiropractic adjustment. However, as with any procedures that involve our health, there is always a small risk that things could go wrong. There have been instances of disk herniation due to poor adjustments by inexperienced doctors. Such cases are very rare. To stay safe, go to a chiropractic clinic which is established with experienced chiropractors. Is a chiropractor a medical doctor? No, they are not medical doctors. However, they are trained professionals in the area of chiropractic care. Normally, a chiropractor will have to go through a few phases to be a qualified chiropractor. Firstly, they will typically go through a bachelor program related to the sciences. After that, they go through a 4-year chiropractic program that includes theory and also practical experiences. After this program, they will be awarded the Doctor of Chiropractic degree. How much do chiropractic treatments cost in Singapore? It depends on the clinic and also the type of treatment you need. For a first time consultation, you can expect to pay prices of around $50 to $100. Some clinics do offer special discounts for first-time clients. At times, you may be required to take an x-ray which will cost between $150 to $300. Normally, a regular chiropractic adjustment will cost between $60 to $90. If you sign longer-term packages, you can save between 20 to 30%.